Ten years ago Tommy Tuberville led the Auburn Tigers to an undefeated regular season, yet his 12-0 team was left out of the BCS national title game. The Tigers went on to beat none other than Virginia Tech in the Sugar Bowl that year to cap a 13-0 regular season. Auburn was left out of the championship game despite its 12-0 record, SEC title, and three wins against top-10 opponents. Instead, USC went on to win the championship over Oklahoma. To add fuel to the fire, USC was later stripped of the title for NCAA violations. 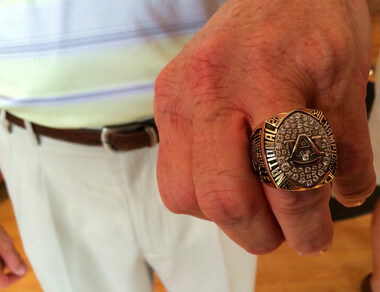 In typical riverboat gambler fashion, Tuberville gave his players national championship rings following the Tigers’ 13-0 season despite being left out of the national championship game. The Bearcats had a buy and a much needed opportunity to rest up before taking on East Carolina this Thursday night at 7 p.m. EDT on ESPN2. The winner of this game controls its own destiny to at least a share of the AAC title. Notre Dame @ Arizona State: #5 Golson responsible for five turnovers. The Irish got to travel to Tempe to face the #9 ranked Sundevils sporting their new Nike Fuel uniforms shown below. ASU was 7-1 on the season with wins over three top-25 opponents, but no one seemed to care. After all, what has Arizona State ever done? ASU was up 34-10 at the half, and ended up winning 55-31. Brian Kelly’s team started to pull close late in the second half. The game started to feel like BK’s 2009 win over Pittsburg. That did not happen. Every time ND got close, Everett Golson found a way to give the ball away. Texas A&M @ Auburn: Auburn fumbles away their season. A night game in Jordan-Hare Stadium. Auburn, ranked third in the country facing an Aggie team, just 2-3 in the SEC, starting a freshman quarterback to operate a complex run-n-gun offense. The only question is how many points will the Tigers put on Texas A&M, right? Wrong! The Aggies were up 35-17 at the half, and 38-24 going into the fourth quarter. The Gus Bus came back though, like it always does. In fact, Nick Marshall’s team had the ball twice in Aggie territory in the final three minutes of the game to win it. What happened? Nick Marshall decided to keep it and fumbled inside the goal line, and in a most peculiar fashion, the team had what can only be deemed a quick-snap error. Texas A&M won 41-38, keeping Kevin Sumlin out of the hot seat and shattering Auburn’s playoff hopes. Alabama @ LSU: Nick Saban beats Les Miles at his own game in Death Valley. The Tide received the ball with 50 seconds on the clock, and Blake Sims drove them 55 yards, leading to a field goal to lock OT. The teams then exchanged possessions, and Saban pulled this one out in a very ugly game, reminiscent of the 9-6 OT “thriller” in 2011. Here is a throwback to 2010 when the Hat beat Bama, and Les Miles gave this genius interview. Oregon @ Utah: Emotions and momentum run wild. 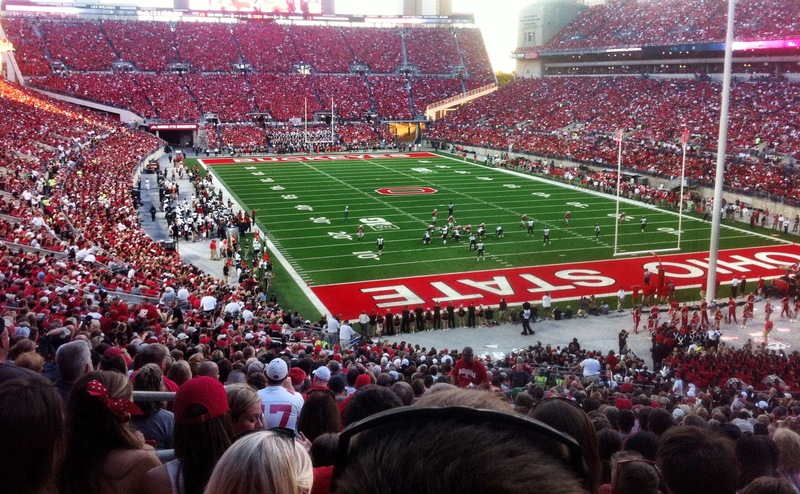 The Utes started the game up 14-0 and then fell apart, eventually losing 51-27. Unfortunately, Utah lost half their team during the loss to season ending injuries, including starting quarterback Kendal Thompson and receiver Tim Patrick. And then there is this. Oh Kaelin Clay what were you thinking! The Texas Longhorns beat West Virginia? How bipolar are the Mountaineers? Kansas fans tear down a goal post after defeating the 2-7 Iowa State Cyclones. Duke is 8-1 (in football). TCU rolls. Have fun stopping their offense. If they can’t pass on you with Boykin, they will run it down your throat with Texan track star after track star. Florida State moves one step closer to locking up a playoff birth. Jimbo Fisher has now won 25 straight games. Ohio State is VERY intriguing. Urban Meyer, one of the very best coaches in the country, has his team playing excellent football putting a walloping to Sparty. I just don’t see how OSU gets into the playoff without lots of help. Also, how in the world do the Bucks not start J.T. Barrett next year at quarterback? He has thrown a pretty ball for over 2,000 yards, 26 TDs, and seven picks on the season so far, and is top-five in total QBR. 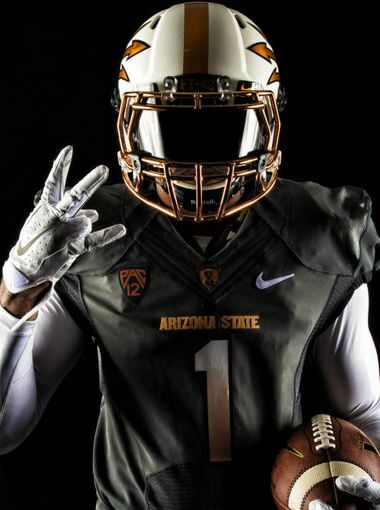 Swag of the Week goes to the Arizona State Sundevils. One year ago, the Bearcats rolled into Tampa, Florida to face the USF Bulls as 11-point favorites. At that time, the Bulls were 0-5, and eventually ended the season 2-10. The game was supposed to be any easy conference win, and a chance to gain experience before moving into the “meat” of conference play. 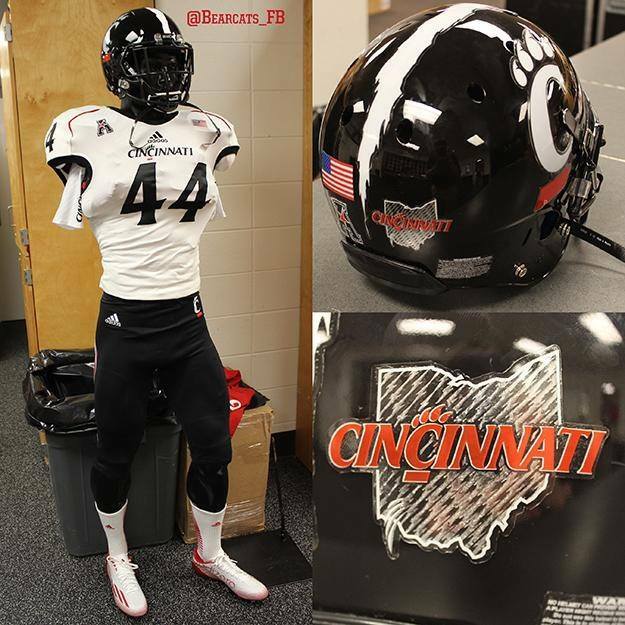 Instead, the Bearcats entered a trap game, and returned to Cincinnati with a 20-26 defeat, in large part due to not only a blocked field goal returned for a touchdown, but also a fumble returned for a touchdown. Indeed, 14 USF points resulted directly from two turnovers in a matter of unfortunate seconds. This year the Bulls have to make the trip to Paul Brown Stadium to face UC. The Bulls are 1-4 in their last five meetings in Cincinnati. Those games were of course at the almighty Nippert Stadium. With an overall record of 3-3, and 1-1 in the AAC, the Bearcats cannot afford to look past USF this year. 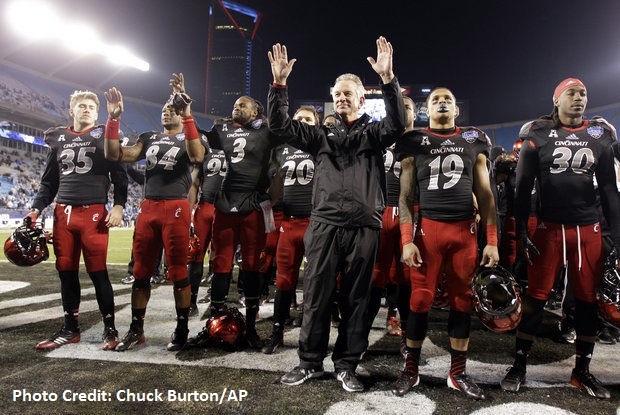 Given the outcome of the game one year ago, I expect Tuberville and his staff to have the team fired up Friday night! UC’s athletic director Mike Bohn expects a crowd of 30,000+ in attendance this week. If you are not attending in-person, be sure to tune into ESPN2 at 7 p.m. EDT Friday night to watch the Bearcats seek sweet revenge on the Bulls. Let’s face it. When Tommy Tuberville arrived on campus, #1 Ralph David Abernathy (“RDA IV”) vanished. Plays have not been designed for RDA IV in space, and he lost his role as the kick and punt returner. Apparently, he has also been facing several nagging injuries this year that have kept him off the field enabling him to take a medical red-shirt this year to preserve one more year of eligibility. His brother, Micah Abernathy, rated as a 4-star defensive back out of Atlanta is now committing to Butch Jones’ Tennessee Volunteers. As everyone knows, Butch also originally recruited RDA IV to UC and coached him for two years. RDA IV will be graduating from UC in December, giving him the opportunity to transfer and immediately play ball at another school next year under NCAA rules while also earning a graduate degree. Rumors are circulating RDA IV will be leaving to join his brother at Tennessee. When questioned, his mother of course denied such statements, but let’s face it – this is not only a rumor, but also a logical step in the career of RDA IV. It is clear he will not be heavily utilized in the UC offense or special teams anytime soon. What Did We Learn from the Ohio State Game? 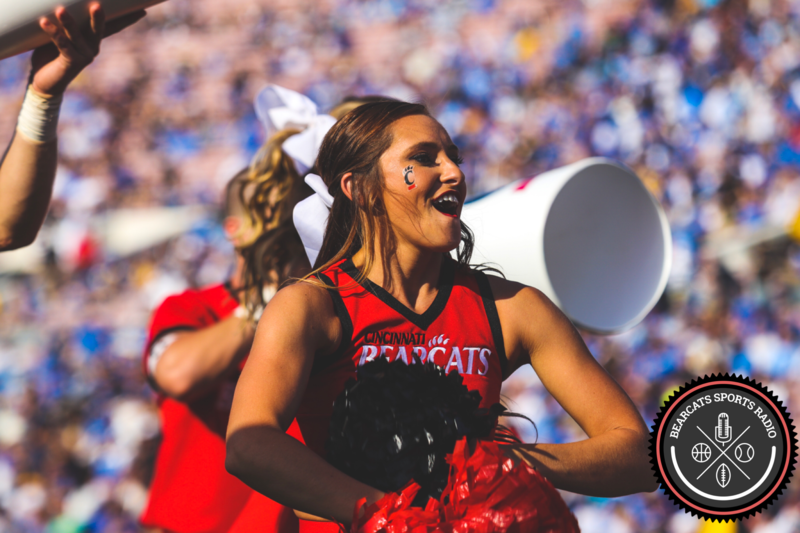 Going into half-time the Bearcats mounted a comeback, making the score 30 – 21. Sure the game was against the mighty Ohio State Buckeyes, in front of 108,362 roaring fans, facing a team coached by the one and only Urban Meyer, but the Bearcats were on their way to a classic underdog comeback behind the Golden Arm of Gunner Kiel, right? Unfortunately, not. Now before I start to discuss the bad and the ugly, I do want to discuss the positive here. Gunner Kiel threw for 354 yards, 4 touchdowns, and zero interceptions. The Bearcats can compete. Going into the Horse Shoe against a team comprised of countless 4 and 5-star recruits is not an easy task, and for nearly three quarters the Bearcats held their own. It was not until a terrible offensive pass interference call against Johnny Holton that the game started to unravel, and get out of hand. The Buckeyes accumulated 45 first downs (no, that’s not a typo, and yes, it is a school record), 710 total yards, half a century worth of points, and hung onto the ball for 41 minutes. Clearly, the Bearcats defense needs fixed, and right away. I do not believe this is a personnel problem. The defense has several star athletes, including the likes of Silverberry Mouhon and Jeff Luc, the same 256 pound Jeff Luc that was once touted as the #1 linebacker coming out of high school (and yes, he snugly wears #1). Instead, the problem lies with the defensive coordinator, coaching staff, and the general lack of scheming. In fact, Toledo and Miami had already exploited these issues, but did not have the offensive firepower to outpace the Bearcats passing attack. While the Bearcats offense is just a blast to watch, the rapid pace of the Gunner Kiel attack may further inhibit the team’s total production. 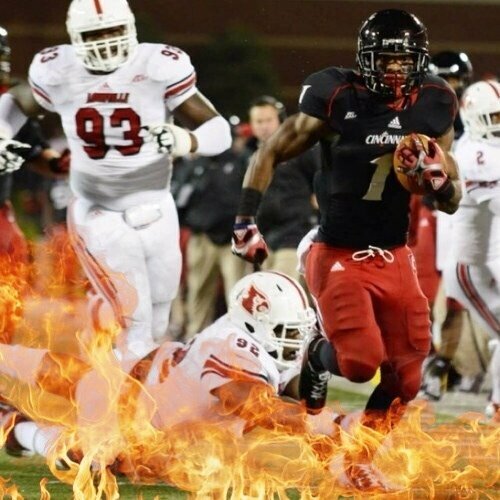 In recent history under Brian Kelly, Butch Jones, and now Tubbs, the Bearcats offense scores at a lightning fast pace. This leaves the defense on the field for stretches at a time, and at risk for giving up plenty of points. Without an opportunistic defense feasting for turnovers this is indeed a potential recipe for disaster. We should certainly be looking forward to the remainder of games this season, including another opportunity to play the historical powerhouse Miami Hurricanes. We can only hope the defensive holes are filled or at least patched. The prolific offense is paced to break multiple records help by the Tony Pike/Mardy Gilyard tag team. However, to win games, the defense has to get its act together. This one is on you Hank Hughes. As a final note, November 13th is shaping up to be a very important date. The East Carolina Pirates march into Paul Brown Stadium. While this game may not have been flagged during the offseason, the Pirates have handily beat North Carolina, Virginia Tech, and competed well against the South Carolina Gamecocks. I still have hopes the Bearcats can at least go 10 – 2 and win the AAC. However, after witnessing the OSU game, no games should be taken for granted moving forward. There uniforms are pretty solid. My favorite part is the outline of Ohio with Cincinnati emblazoned across it. My least favorite part is the American Athletic Conference Emblem on the right lapel. Just to update you, Nippert is still being renovated, as evidenced by the images below. And the sun is shining in Clifton. Go Bearcats.